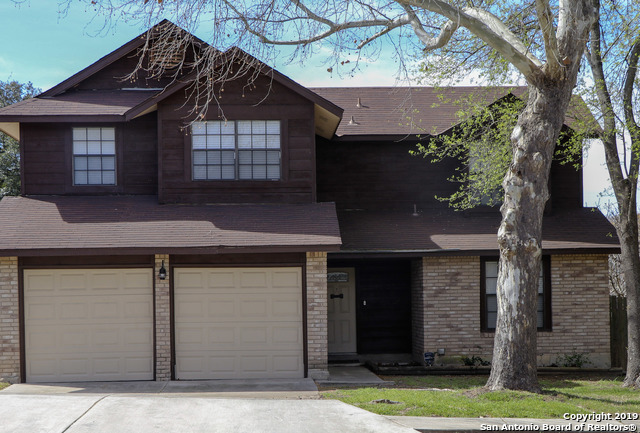 All APPLE CREEK homes currently listed for sale in San Antonio as of 04/24/2019 are shown below. You can change the search criteria at any time by pressing the 'Change Search' button below. "Stunning 4/3/2 home only a minute away from the community pool/playground! Tile flooring throughout first floor, vaulted ceiling in living space making it very open & also has a wood burning fireplace. Moving to the dining area that has a lovely view of the backyard. Granite countertops in kitchen, w/ walk-in pantry, custom fridge, & eat in area. Large master bedroom w/ tiled master bath, updated shower, & his/her closets. Massive backyard that is perfect for any get together with family & frien"
"Great home located in the Medical Center, conveniently located to schools, hospitals, USAA. This home offers 4 bedrooms, 2.5 baths, master bedroom downstairs, 3 other bedrooms upstairs plus loft. New flooring recently installed."